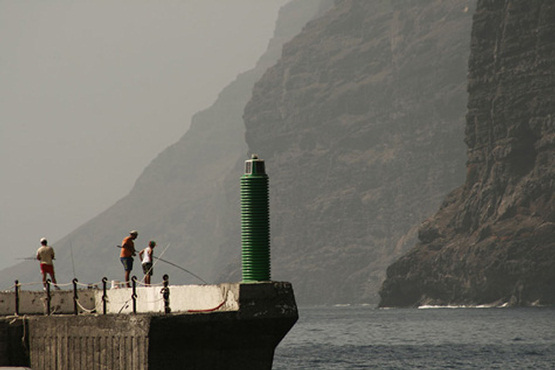 To fish legally in Tenerife you need a license. The license can be obtained in Santa Cruz at the Oficina Multiple Usos, C/ La Marina, 57 opposite the ferry port. You have to apply in person and you need to take your passport or NIE certificate. Get there in the morning as the office closes at 13:00 hours. Allow yourselves a couple of hours to complete everything. Once the form has been completed, you will be given a payment slip to take to the bank. 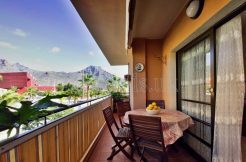 It costs 14.35 Euro covers all the Canary Islands and mainland Spain and lasts for 3 years. On returning to the office, the licence will be waiting for you. Fishing spots are in theory, in the most secluded places. In most cases the fishermen can be seen packed like sardines in the hot spots of Palm Mar and Playa San Juan. If you walk along any coastal path you will find anglers, carrying out their pastime perched precarious above the waves on the not too comfortable weed covered rocks and gullies that form rock pools when the tide is out. How they manage to get to some of the spots is a feat in itself before they even cast a rod. 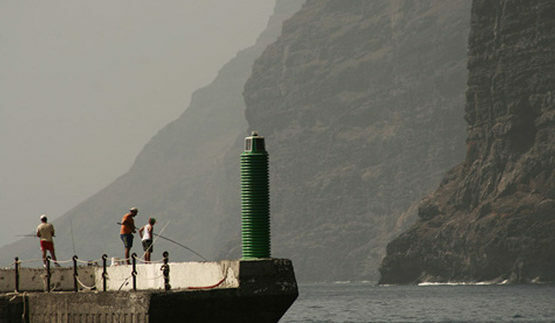 You can see them below the Barcelo Santiago and beside Crab Island in Los Gigantes. It makes no difference if the sea is calm or the waves are crashing like cymbals, they will be there on an isolated rocky outcrop or the rugged stony shoreline that rises up to the jagged cliffs knowing there will be fish eating, hiding from predators and keeping out of the worst of the tidal flow among the nooks and crannies. A couple of relatively isolated beaches that are worth seeking out are Diego Hernandez, a small beach about two hundred meters long, with calm waters and almost entirely composed of white volcanic sand. It is located between La Caleta and El Puertito and typically is for insiders – no more than around a dozen people at any one time visit the beach in a day. Many people fish by the harbour in El Medano and Puerto Colon – harbours bring relatively deep water within easy reach of the shore and there’s often plenty of sport to be had just by dropping your line into these spots. Many anglers got their first taste of sea fishing from a jetty and it’s not difficult to see why it has such a special place in their hearts. If you know where to look in Los Cristianos they can be found but in general are hidden from the tourists eye. More obvious are those who claim you can catch sharks from the shore at Las Americas. Fishing from the beach – especially when it’s an attractive one, has an appeal all of its own and can often be what first lures newcomers to sea angling. The Shirley Valentine Beach once here there is nothing but a few fishing boats out on the horizon and the lapping of the Atlantic to disturb the peace. Perhaps fishing as a new hobby is to be seriously considered. Of course, many still fish without a permit and if you are prepared to take the risk keep an eye on the Spanish – they pack up and leave as soon as they see the first signs of the law. Police checks are made on occasions and they can, if so minded, confiscate your fishing equipment as well as your catch. If you are really unlucky, you could end up with a fine of 300 Euro. The Blue Marlin, the Needle Fish, the Atlantic Tuna, the Barracuda and the White Tuna. All of them carry on insisting that we don’t breathe a word to anyone about how well they live in the sea off Tenerife. Pesca de altura del tiburon, atun y barracuda. Pesca de altura: maximo 6 personas. Medio dia de pesca, o 7 horas de excursion de pesca con almuerzo incluido. Barco disponible para alquiler privado o familiar. Crucero de 5 horas a Los Gigantes – Crucero de 2 horas a las ballenas. Pesca de altura, excursiones de medio día o de día completo. Puerto deportivo Marina Los gigantes.